Wacom is covering all grounds lately with new products. Their latest is the Bamboo Pad, a touch surface with the gesture control the likes of an Apple Magic Trackpad, with some added functionality for drawing and jotting down notes. The Bamboo Pad touts the ability to recognize when you are using the included stylus versus when you are using your fingers, thus allowing a more natural drawing/writing experience without the interference of your palm. If the gestures we know and love remain intact, the stylus option could be a nice way of adding handwritten notes to documents, or doing simple sketching. The stylus has 512 levels of pressure sensitivity. While that doesn't reach the 2000+ levels of Wacom's higher-end devices, it should be more than enough for casual use. 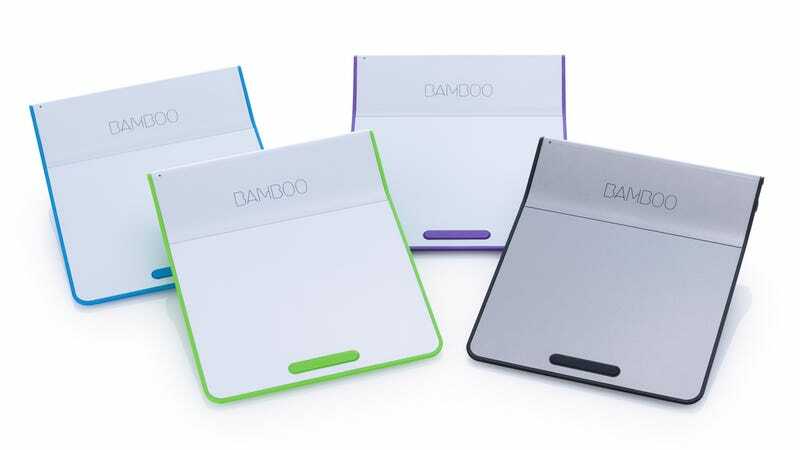 The Bamboo Pad will work across Mac and Windows platforms, though if you have a Mac you will need to install a driver, whereas the Pad will work out of the box with Windows 7 and 8. The wireless version will be $80, and the wired USB version will be $50, both available in September from the Wacom eStore.